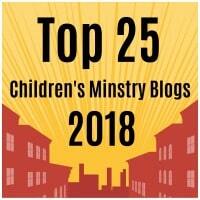 You can find dozens and dozens of crafts online to help you teach the kiddos that God is the Creator. Many times we forget to emphasize to the kids that He is also our sustainer. God not only created everything around us, but He has total control over everything we see. Make this an emphasis to the kiddos. Tell them every day they wake up it is because God has given them life. God makes the sun come up. He blesses us with food for our tables. He is very merciful towards us each and every day. Cut out pieces of green construction paper or tissue paper. Glue them onto the continents. Then cut out any overhang leaving perfect shapes. 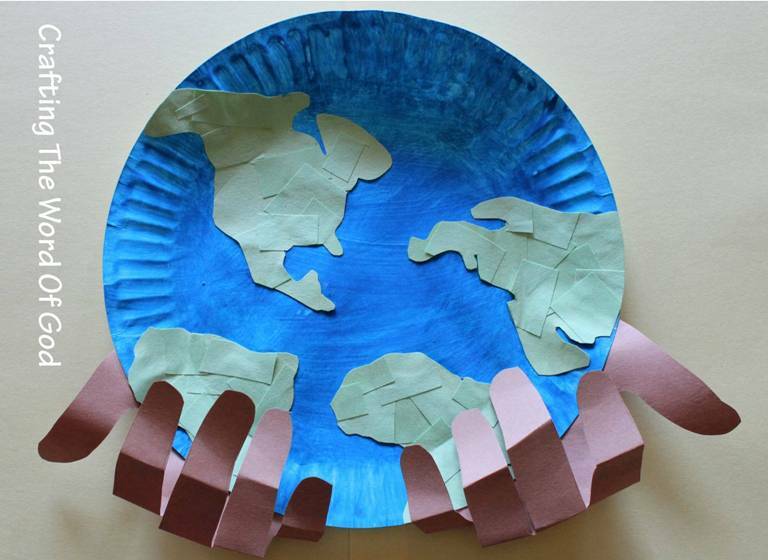 Glue the finished continents onto the painted paper plate. Cut of any excess overhang to leave a perfect round paper plate. Trace a pair of hands onto brown or tan construction paper. I suggest that you use an adults hands for this. Glue the hands behind the globe, thumbs facing out. Finally bend the fingers twice, to have them coming in. As if the hands were holding up the globe. This entry was posted in Bible Crafts, Creation, OT Crafts and tagged bible crafts, craft, crafts, created, creation, creator, earth, God, God created, heavens, mercy, sustainer.